Remember when Kevin James cast Erinn Hayes in his CBS sitcom Kevin Can Wait then decided to kill her character off because, in James’s words, they were “literally just running out of ideas”? Well, that’s resulted in probably the best TV news item of 2018. 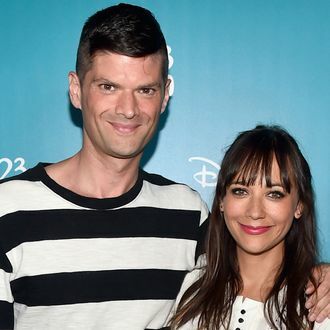 According to TVLine, Rashida Jones and Will McCormack are developing a comedy at AMC titled — wait for it — Kevin Can F*** Himself, which “aims to deliver the serio-comic POV of the sadly stereotypical TV sitcom wife who must forever put up with her disproportionally shlubby, goofball husband.” The log line also describes the sitcom wife character as “a beauty paired with a less attractive, dismissive, caveman-like husband who gets to be a jerk because she’s a nag and he’s ‘funny.’” Checkmate. The series will alternate “between single-camera realism and multi-camera zaniness” and is created by Valerie Armstrong (SEAL Team), and Jones and McCormack serve as executive producers. The role of the housewife has not been cast yet, but we’ve got someone in mind who would be the perfect fit.